Learn here how delete the error waste ink pad counter and other from the Epson Stylus Photo T50. 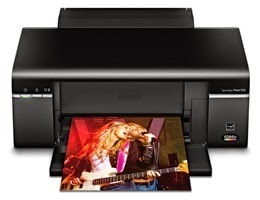 With this printer we can get high definition images of small best print to print photos. We can also print text at high speed with up to 38 pages per minute and can print directly CDs and DVDs. It has the quality of having individual cartridges Epson for more savings. It has a resolution of 5760 x 1440 dpi is compatible with Windows® Vista®, XP, XP Professional x64 and 2000 systems Macintosh USB Macintosh® OS X 10.3.9, 10.4.11 and 10.5.x can print paper sizes 10 cm x 15 cm (4 "x 6"), 20 cm x 25 cm (8 "x 10"), letter, legal, trade (21.6 cm x 35.6 cm), A4, A6. Something to keep pending at the time of a reset of this and any other Epson printer, can not have another connected printer, the printer up and running and the computer that is connected to both the computer and running perfectly. 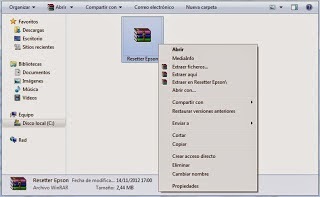 Download the program by visiting the link with resetter for Epson Stylus Photo T50.